We understand that debt collection can be a stressful process, regardless of whether your debtor is nearby or on the other side of the globe. At Cedar Financial, we put people first, doing everything we can to get your money back while still preserving a good relationship with your customer. Our strategic public relations efforts are fair, nut firm—ensuring your reputation is our top priority! At Cedar Financial, our Domestic collections division is industry renowned for recovering commerical debt collection across the Nation. 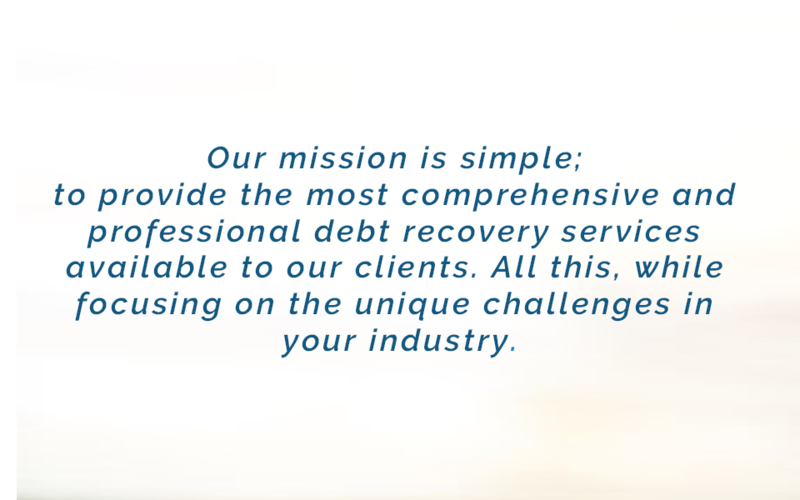 Employing the most professional and effective debt collection techniques and strategies, our team is unmatched at successfully recouping outstanding balances. "This is one of the better collection agencies I've dealt with. When they first called they were polite but firm. When I called and asked for a statement of my account, I received one promptly. The only thing I don't like is that they don't send statements unless you ask for them." "Thank you again for all of your kindness and for following up with me. I'm not sure if that's in your scope of responsibility, but I can tell you that you are one of the nicest debt collectors I've ever worked with. I know this isn't an easy job, and it's pretty thankless, but you always have a smile in your voice and you really make everything smooth and easy. Other companies in the same industry could really take a page out of CFI's book." "Thanks for your patience, understanding and your ability to NOT be an overzealous bill collector. It really helped." "Student reenrollment has significantly increased from the students we have placed in your office. Thank you for working with our students to resolve their balances and further their education." "Since January 2011, our Credit Union has employed the services of Cedar Financial for the collection of non-performing student loans made to international graduate students. The professionalism and responsiveness of the Cedar team to our organizations' requests has been great. Cedar's ability to collect and resolve accounts is above the average agency." "You all are doing such a GREAT job and am very happy that we have this relationship." "We hired Cedar Financial to collect from a former client in Algeria who had an outstanding balance with us since 2009. I was amazed when Cedar were able to collect payment nearly 3 years later. There was no risk for us because we weren't obligated to pay any commissions or fees until the debt was resolved. The team at Cedar were easy to reach, professional, and able to think creatively in order to get us our money as quickly as possible. And as part of the TCM Group, they have a local presence around the world."